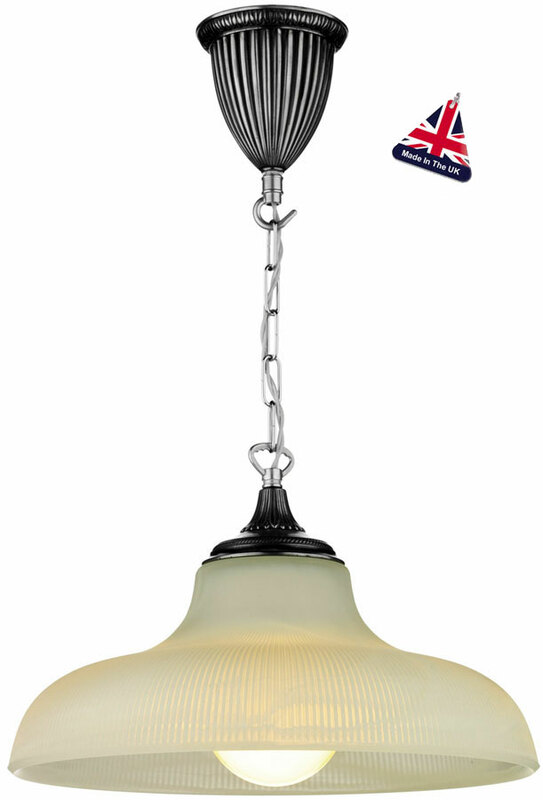 The David Hunt Badger smoked glass school house pendant finished in pewter. A traditional ceiling pendant light, with a pewter finish moulded resin domed ceiling mount, satin silver suspension chain and flared, reeded satin glass domed shade. Other products in the David Hunt Lighting Badger range can be viewed below and include classic bronze and steel finish versions of this stunning ceiling light.